This article details our standard set of on-page search engine optimisation tips and guidelines for optimising websites. We provide this free and it's ideally suited for small business lead generation websites. For larger website and or more specialist advice on SEO services, please contact us. • Place permanent redirects from the non www versions to the preferred www address. • Place a canonical redirect tag on the non preferred home page addresses specifying preferred addressing. Please contact Adhesion if you require advice. • Utilise a URL rewrite solution to deliver clean (cms session free) urls. • Use hyphens as separators (underscores are not recognised as separators by search engines). • Use keywords in the url (relevant to the subject matter of the page). • Where a new version of a URL is created, place 301 redirects on the old URL pointing to the new one. • Ideally avoid generating new URL addresses for the purpose of updating information on existing product pages. It’s imperative that all pages on the website have unique page titles (title tags) and meta descriptions. Poorly formed page titles and meta descriptions and duplicates can adversely affect search engine results and traffic volumes. Page titles should ideally be in the 50 - 59 character length range including spaces and should not exceed 70 characters incl spaces. Meta descriptions should be less than 155 characters including spaces. Create pages titles and meta descriptions that are relevant and descriptive to the subject matter of the associated page. Include keywords in the page titles and meta descriptions and incorporate a call to action in the meta description. Utilise H1 class text headers to introduce the body content. Use only one H1 header per page. Use H2, H3 etc for additional sub headers. Where images are used for header copy – either replace with text or use H1 alt tags. Use image alt tags to describe images and include keywords in the description. Form these using natural language that is concise and descriptive and to a maximum of 125 characters. All copy on the website should be unique (not copied) and should be written with the purpose of being useful to website visitors. The copy should be revised and refreshed every 12-18 months. Creating new copy is an excellent way to improve SEO performance. See our articles on What is content marketing and how does it work? and How to write blog articles. Ideally the website should be hosted within the country of your primary target audience. Web page load performance is now a metric that impacts rankings. You can test your website on the link below. Have your web developer address any of the "Should Fix" recommendations. More and more web visitors are browsing on mobile devices. Your SEO effort needs to include mobile optimisation. Ideally your website should be built using a fully responsive browser design that is optimised for all screen sizes. Create a dynamic google sitemap if you don’t have one. Your web developer should be able to do this for you. Once created, submit the site map to Google via Google Search Console. 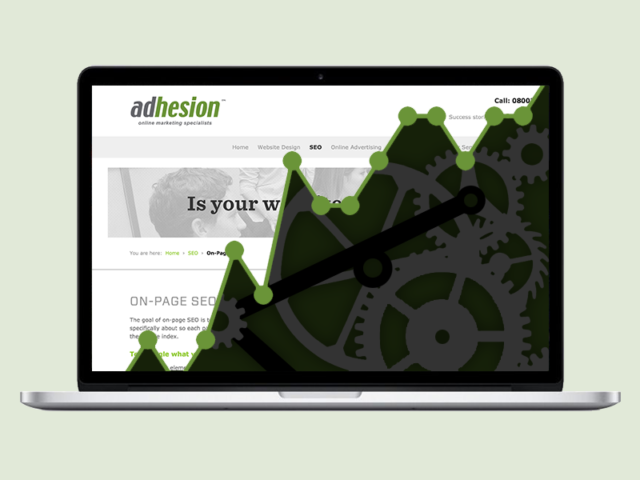 Adhesion can provide more details on creating dynamic google sitemaps if required. See more about our SEO services, or contact us for more information. How to write blog articles Does SEO really work and is it worth it? Does Google AdWords help SEO? Does Google AdWords help SEO?